You don’t have to have a supermodel budget to turn heads next season. The high street has some great pieces and they’re in shops now (so go on be a trend setter!) Here’s my pick of this week’s best. So go on turn the street into a runway and work it, girl! This spring is all about clean cuts and simplicity. This jumper from New Look encapsulates that. It’s simple yet eyecatching. Team it with stirrup tights or leggings and you’re good to go! This coming season is about effortless style. It’s about creating an eyecatching look without looking like you’ve tried to hard. This shirt worn open as a jacket is perfect. It will add instant cool factor to any outfit. Snap it up now for only £25 from New Look. The ethereal look was also big on the catwalks of fashion week. 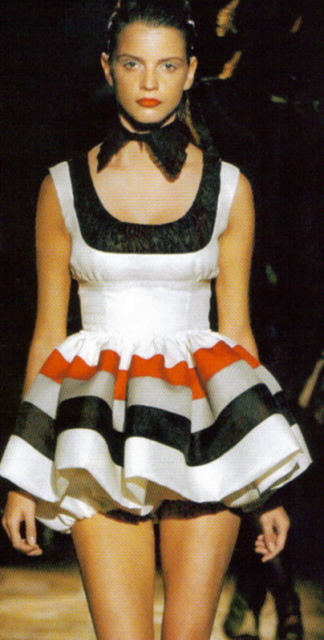 John Galliano championed this look with fairytale textures and ruffles. 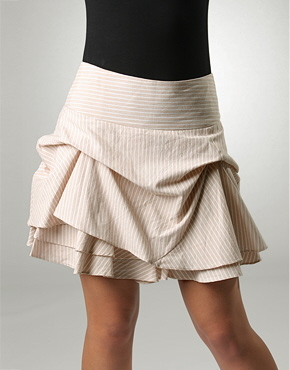 This skirt not only encorporates romantic, feminine ruffles but is also in the colour of du jour, mocha. This colour was featured strongly throughout fashion week, such as on the Celine catwalk. 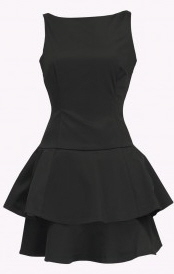 Have a romantic moment and slip on this skirt, £35 from New Look.